Fins , Fatigue, Feebleness, Frailty and Floundering …. … should perhaps be the new Masters Swimming motto following the 2012 Thredbo Swimming Camp, which was held on the October Long Weekend from 28 September – 1 October 2012. 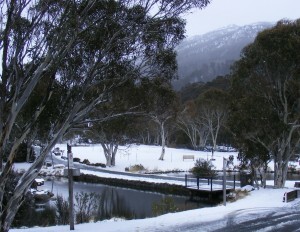 The weekend saw the alpine weather really turn it on for us with heavy rainfall on our arrival on the Friday afternoon and the Thredbo Village lightly covered in snow the next morning. Then there were heavy flurries of snow falling throughout the day on Saturday. The Sunday was cloudy and cool and as the camp was finishing on the Monday it was a beautiful clear day with the snow covered mountains providing the ideal backdrop for those wishing to ski the slopes following the end of the camp. Eight of our members including Anne Smythe, Kristen Leydon, Nicolee Martin, Annette Britten, Pam Munday, Ian Hampton, Caroline Makin and Roger Dietrich attended the camp with several members of Ryde Club and a couple of Bushrangers from Albury. Ryde coach, Greg Lewin really put us through our paces for six sessions of two hours each that were focused primarily on sprint training which was aimed at improving and increasing general aerobic fitness. Whilst only one camp is not going to improve this type of fitness dramatically, the ideas taken away from the camp will be invaluable for us in the lead up to the National Championships in April next year. 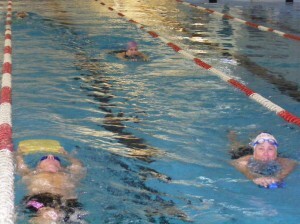 Although it was not mandatory that each session be completed, there were several types of Vikings swimmers. Those that were unwell and attended the first session only and watched, those that slept in each morning and attended the evening sessions only, those that were late arriving and missed the first couple of sessions and those that swam all sessions combined with those that did and didn’t visit the pub each night. 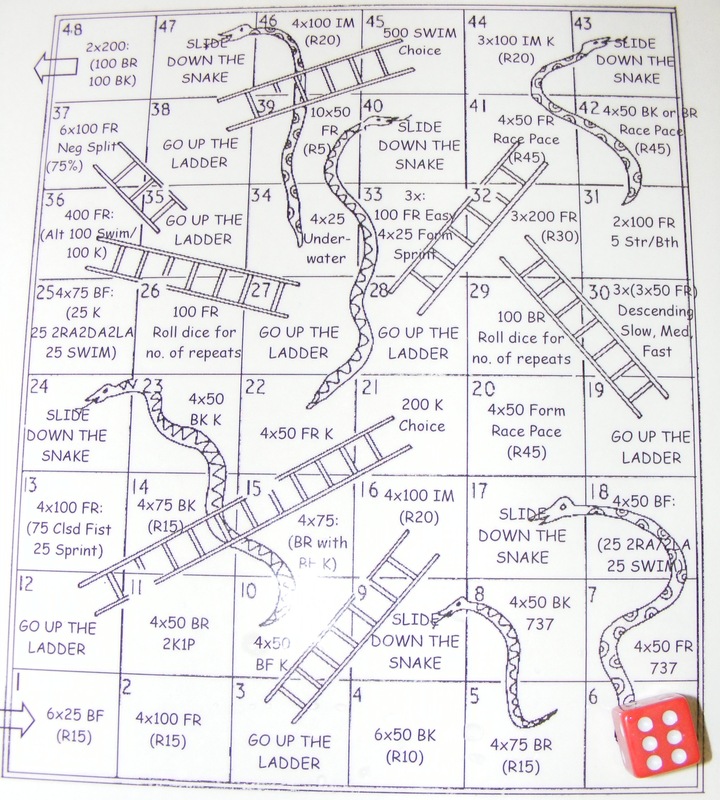 We even managed to include a fun game of snakes and ladders, throwing a dice to determine which set we would swim in each lane to keep things mixed up and interesting! Our association with the Ryde Club seems to be very useful to both clubs and it is hoped that more of our members can attend the camp next year. 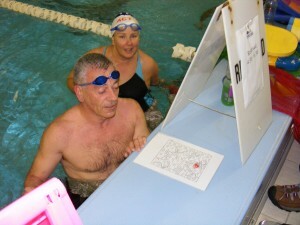 The camp was carried out in the true spirit of the Masters Swimming motto, Fun, Fitness and Friendship. 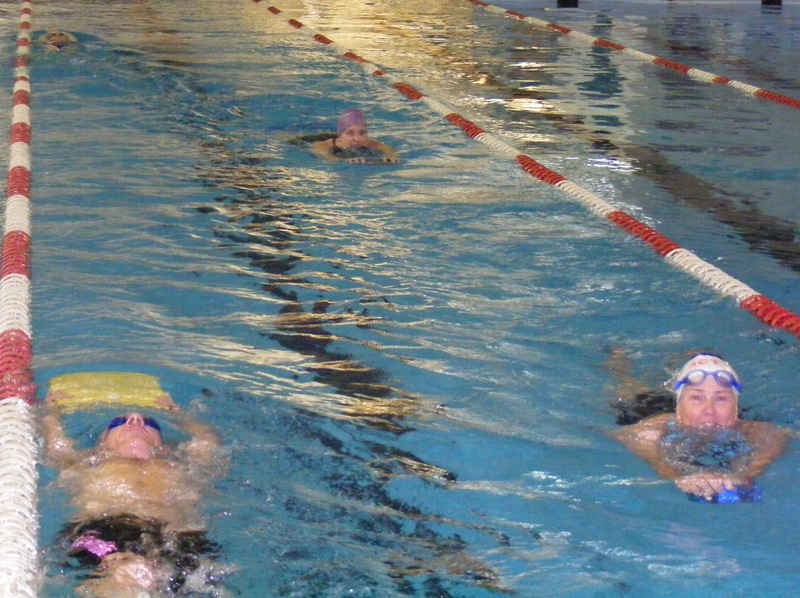 A fantastic weekend of intense swimming sessions! It was great to have the time in each session to really get stuck into aerobic sets and developing starts and turns. A really worthwhile experience – although I was extremely tired on Sunday night and I didn’t even complete the entire weekend! 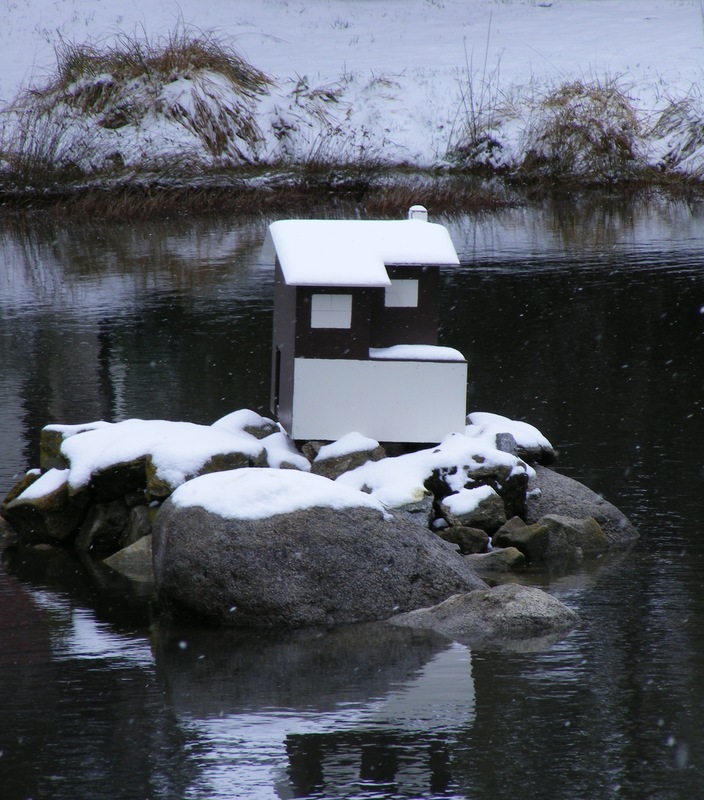 Great to swim while watching the snow falling outside!!! It was a fabulous weekend! Great training, great company and great food, three of my favourite things but not necessarily in that order! 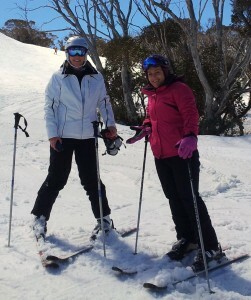 The snow gods were also kind and it was terrific to get some thigh burning action in on the ski slopes to counterbalance all that arm work we were doing in the pool! Was a little worried about how I would cope with the 7am sessions not being the early morning person I truly wish I was, but they were well balanced and quite manageable. Will definitely be back for more next year and recommend it to all those who missed out this time! The Thredbo camp was my first ever swimming camp and I had never even done anything like it when I was swimming as a kid. I was a little worried how I would cope as I had not been training a lot in the lead up to the camp and was pretty unfit in addition to me being used to more casual distance training rather than sprint sessions. I managed the first two sessions and in the third session I did my own thing and it made it more like my usual distance training session. The fourth session on Sunday morning I slept through and also slept through Greg’s alarm and him leaving early. Sunday evening and Monday morning were then relatively easy for me. Overall it was a very worthwhile weekend for me and made me realise how much harder I have to train to go faster, which is the ultimate goal. Our thanks go to Susan, Greg and Wendy. It was great meeting more people from Ryde Club and getting to know people from Tuggeranong a lot more. Coming back to the Thredbo Training Camp for a second time took a lot of courage, knowing the gruelling sessions ahead of me, and the fatigue that sets in by breakfast on the Sunday! Last year I managed all six sessions, albeit completing one entirely as backstroke due to a sore shoulder. This year I managed to swim every single set in all six sessions, attend three drinking sessions in the pub on the evenings, and even tagged a skiing session with Kristen and Nicolee onto the end of the camp on the Monday afternoon! This year the focus was sprints and starts/turns and our fabulous coaches Greg and Wendy certainly put us through our paces with timed sprints in many of the sessions and repeatedly practicing our starts and turns to try to perfect our technique. The feedback and advice was useful for all of us, and we had some good fun in and out of the pool. The food at Boali lodge was terrific. Bring on year three next year – although I definitely will be investing in some remedial massage on the Saturday and Sunday afternoons between the swim sessions!!! Torrential rain, even too wet for the ducks, wind gust and the river running a banker, Welcome to Thredbo intensive swim training clinic for 2012. 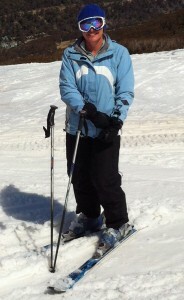 What was I thinking, thankfully I had picked up snow gear in Cooma to help keep me dry. A quick stop at Boali Lodge to unpack, how many stairs are there, and down to the pool where I took photo’s and supervised the first swim session, a game of snakes and ladders! 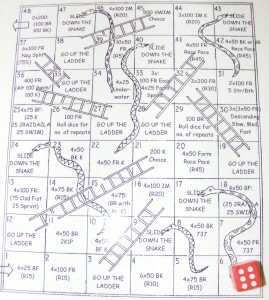 An interesting concept and yes adults try and cheat too!! Fast forward 16 hours, a nice sleep in while others supposedly worked hard and I awaken to a winter wonderland, 3 to 4 inches of snow covering the ground and cars, who would have thought it from the weather conditions from the night before. Saturday after lunch I headed off to Friday Flats to practice up on the skills I learnt last year from my first ever skiing adventure, the brain can retain some information and I managed to stay upright and attempted some downhill skiing on small slopes without becoming too reckless and out of control. Swimming, did someone say I was supposed to be at a swim training clinic and actually swimming. Ski’s off I head to the pool for my first swim session for the weekend. Stretches, warm up, kicking sprints – OMG how sore are the calf muscles from all the stair workouts at the lodge, starts and timed sprints and a cool down and that’s me beat. One session down and one to go, did someone say that there were six sessions! Recharging the batteries with a drink and a two course meal at Boali before heading to the pub was a great way to relax and unwind from my busy day and to catch up with the rest of the group. 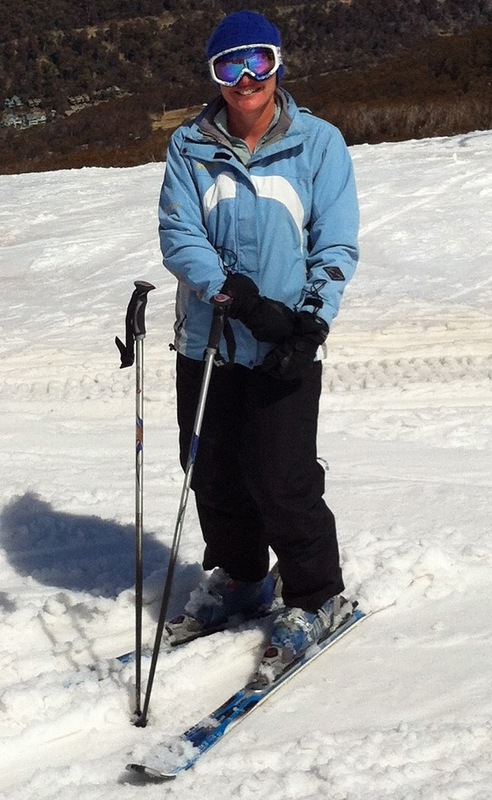 Sunday saw me have yet another sleep in and then head to the little slopes for yet another ski, although found that the shins and calf muscles were not up to too much. Rest in the afternoon and off to the pool for my final swim for the weekend. Similar session from the day before only I needed to leave half way through as one can’t miss the Grand Final of the Rugby League, just too much happening in the one weekend. All in all a fabulous weekend with my emphasis on fun, friendship and relaxation and just forgetting about normal life. I’m sure the lack of swimming will show at the NSW SC Championships, or maybe it won’t!! 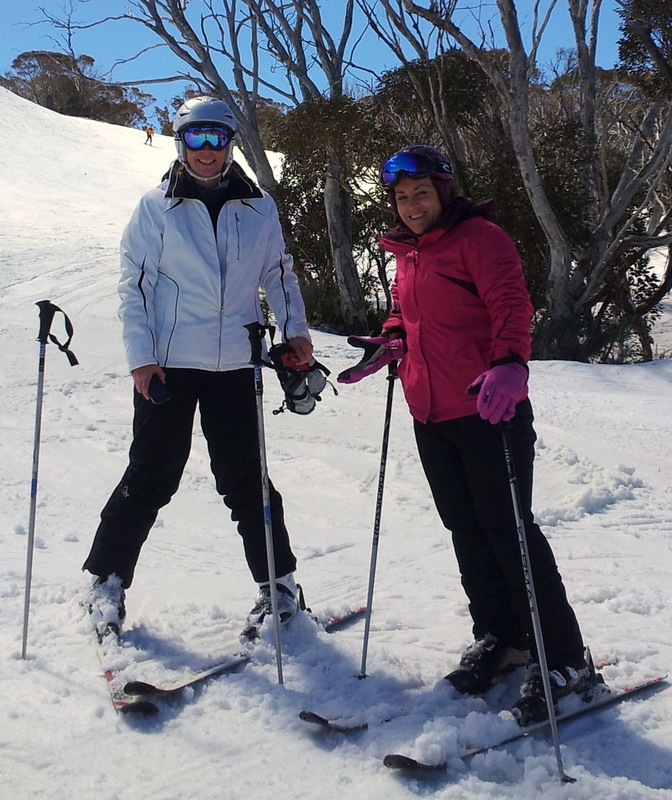 To summarise – the Thredbo camp was once again well planned; also the detail organisation, follow up and “delivery” by Susan Leech, Greg Lewin and Wendy Seale was great. For starters – Thredbo is a beautiful and inspiring place for a training camp, even if the weather on Friday night and Saturday morning was challenging. Boali Lodge is also just about perfect for the purpose – Olivia and Jason are a really nice couple; they provided excellent nourishing meals and a great “atmosphere”, and then there are the STAIRS. The six sessions all had some common themes, nevertheless with a different theme or challenge with each one. 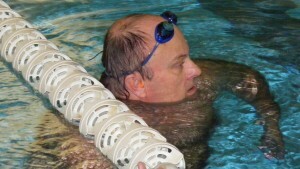 The first session was the easiest – but even in that session Greg Lewin gave us a challenge to push-off hard, streamline well and dolphin kick at every turn (and keep doing that with every swim); he also gave us a nice tip about freestyle arm-stroke – kick timing. In three of the sessions – Greg and Wendy Seale combined and cooperated to time us over sprints and turns… once again this was worthwhile – I reckon we were spoilt having two coaches. Worthwhile to record the times of the swimmers who were at the camp over the next few weeks, especially at the Short Course Championships to see what sort of lift they get out of attending the camp.